Pictures 6-5, 6-6, and 6-7. Eight-bench open cars 103 and 105. 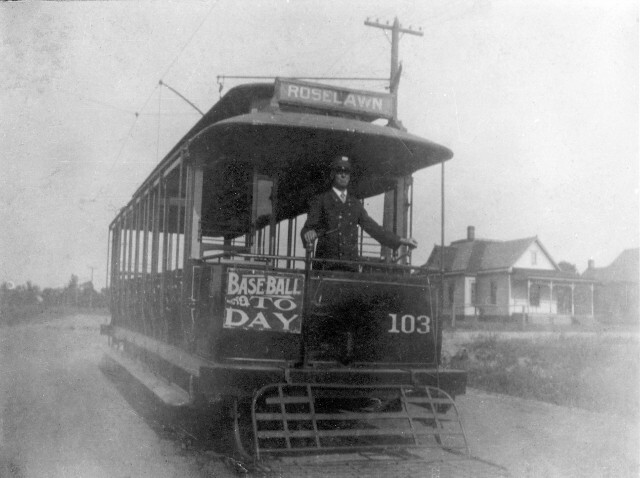 The top picture features 103 on the Roselawn line, with its motorman standing proudly at the controls: left hand on the controller, right on the hand brake. In the middle photo, we see the same car, signed “N. 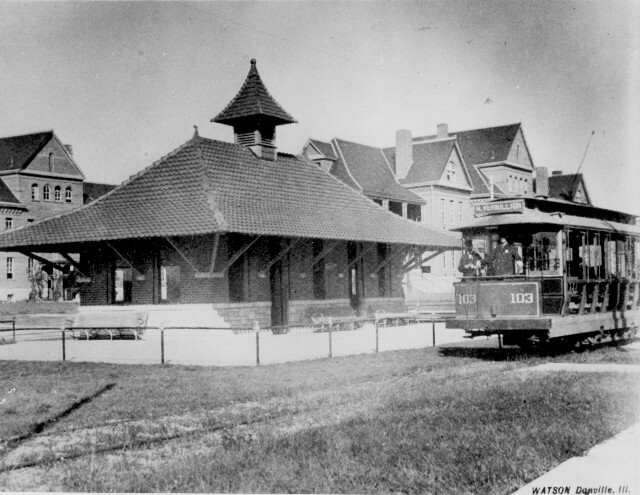 Vermilion”, at the station at Soldiers Home. 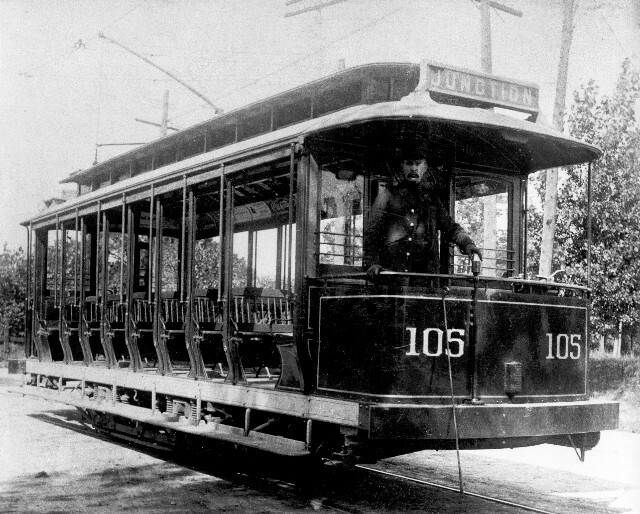 The third picture shows car 105 and its motorman, signed “Junction”. We can clearly see that there are no seats on the platforms of these cars, but it's hard to tell whether there is an aisle between seats.